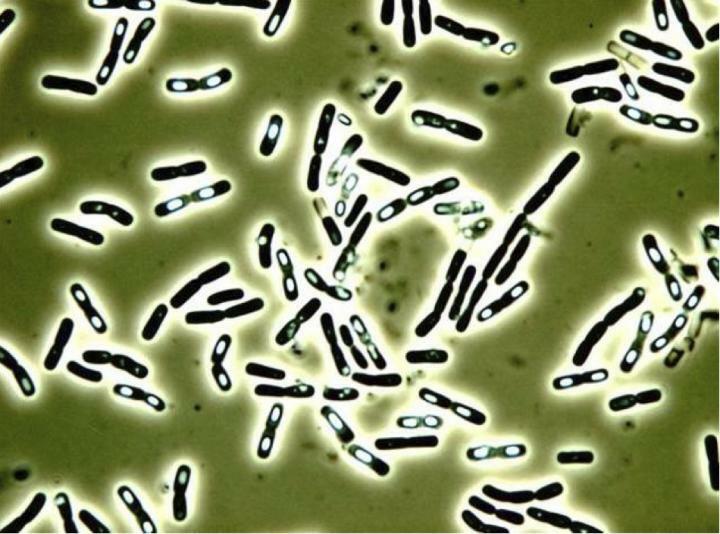 IMAGE: Bacillus cereus is shown under the microscope. The white inclusions in the rod-shaped bacteria are spores capable of withstanding high temperatures. In addition, B. cereus can produce spores that can survive high heat – and which are still capable of producing viable bacteria at lower temperatures. These then often form bacterial toxins, which are in turn heat-stable – like cereulides. “The toxicity of the individual types of cereulides depends on their chemical structure. The more lipophilic they are, the easier it is for them to attach to the membrane composed of fatty acids,” says Prof. Siegfried Scherer, head of the Chair for Microbial Ecology. This will make it easier to assess the risk inherent in contaminated products – and the role played by the individual cereulide variants. The new detection method is currently being jointly evaluated at European level together with the US Food & Drug Administration (FDA), and preparations are being made for its deployment.